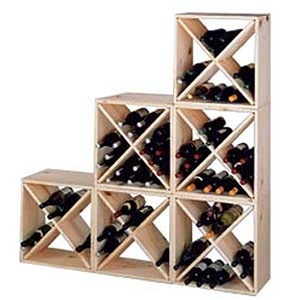 Country Pine Cubes are affordable, sturdy, stackable and expandable. Each compartment holds six bottles and the four compartments equal two cases of wine. Assembly is easy with just eight screws. 20"H×20"W and holds 24 bottles per cube.